Grosfillex commercial quality chairs made from resin provide a strong, attractive, highly durable, no maintenance alternative from high-priced seating units. 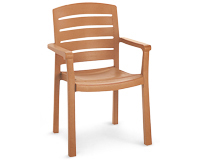 Specifically designed for the food service and hospitality industries, these environmentally correct chairs are naturally impervious to salt air and chlorine. They won't rust, fade, chip or stain. They are heat, burn, weather and scratch resistant. 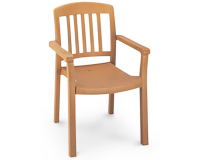 The chairs are rated to 300 pounds and tested in compliance with ASTM F1561-96 Class B requirements for safe commercial use. 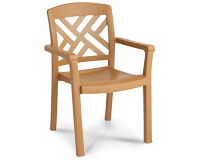 Resin Chairs also available in Wood Style Finishes.